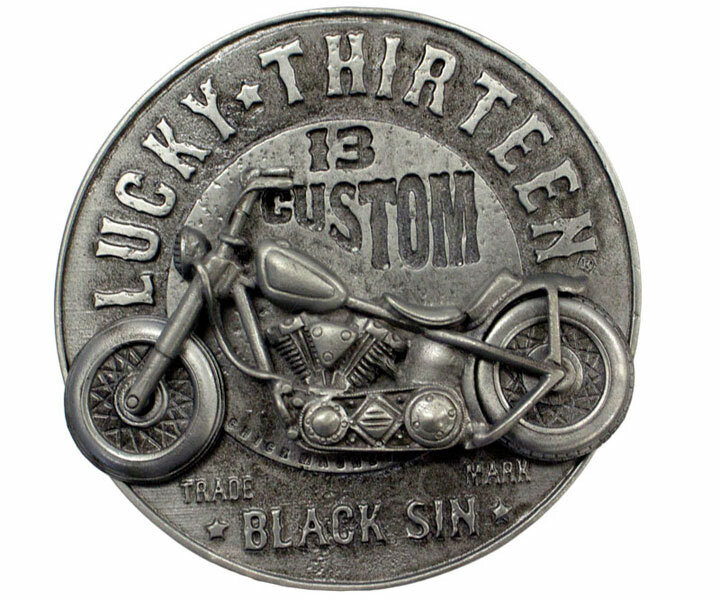 The "Black Sin" art - motorcycle, Lucky Thirteen®, and "Black Sin" motto - on a metal belt buckle, complete with bottle opener on the back! Oh, and did we mention that the WHEELS SPIN??!! Dimensions:3" diameter and fits up to a 1"-3/4" belt strap.